The brick walk project is well underway! We are so thrilled to see the paths coming back together. The Autumn Leaf crew has been onsite for the past week and will continue work this week. Before work commenced, I took over ninety photographs of the paths. Julian, foreman for this project, has them all printed out so that he can re-create the paths exactly as they were. 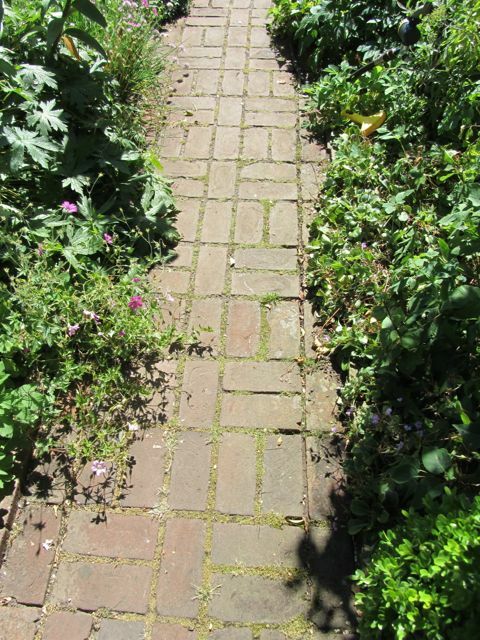 He has found a few quirks that I had not noticed, like a course of cut bricks near the middle of a path. We have no records other than photographs to help us understand how the paths evolved over time. There are many days I wish Elizabeth had written something in her journal about bricks! 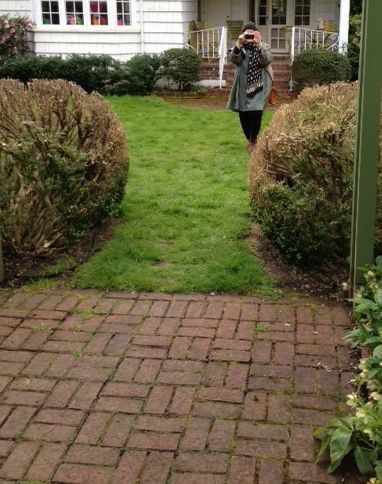 Perhaps the paths were Edith’s forte. We are making a few subtle improvements to the paths as we go forward. Pooling water was frequently a problem, so we have elected to gently raise the grade of some of the paths to increase drainage. 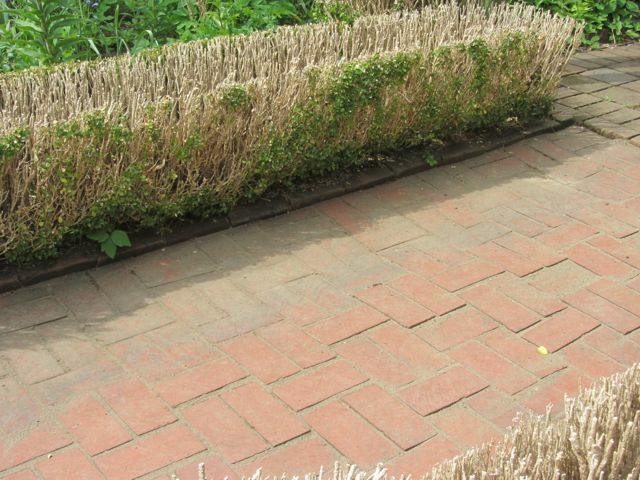 We are re-using the old bricks as the walking surface throughout the Parterre Garden (Flower Garden). The brick borders will be completely replaced with new bricks. This will provide visual consistency and be easy for docents to interpret. 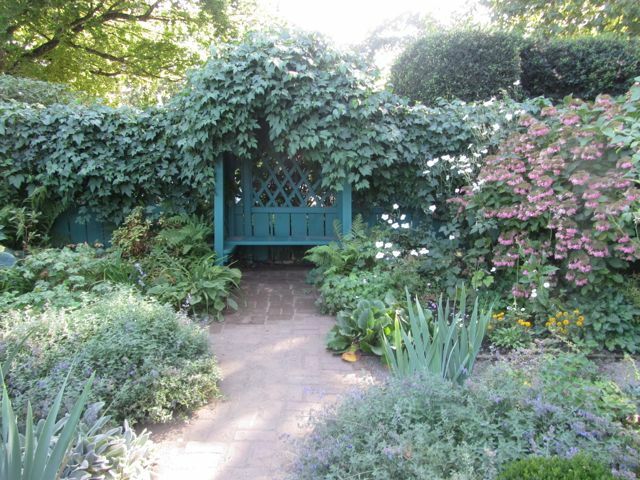 New bricks will also make up the path that leads to the Pergola. 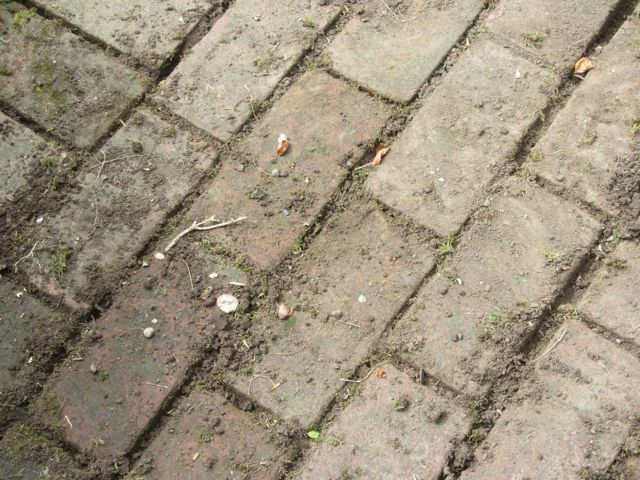 As soon as the bricks are finished, we will start planting spring blooming bulbs. We’re already looking forward to our first Open Garden in March 2018! 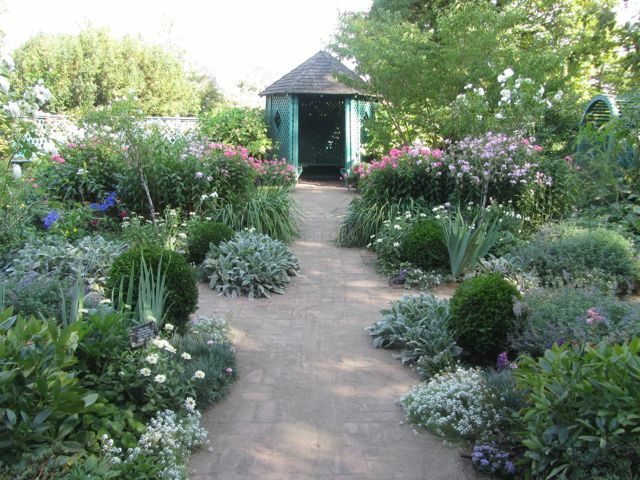 If you haven’t been to Gaiety Hollow in the past week, you might not recognize the Flower Garden! Last Wednesday evening, Dave Hiser brought his youth group from the The Church of Jesus Christ of Latter-day Saints in South Salem to Gaiety Hollow. Racing against the setting sun, 25 energetic youth and 5 adult supervisors pulled up the brick paths, scraped off sand and mud, and stacked the bricks on pallets. The north path made of crumbling pavers and concrete was demolished with a sledgehammer and is heading to the landfill. They finished the evening with zucchini bread, long drinks of cold water, and a group photo on the lawn. 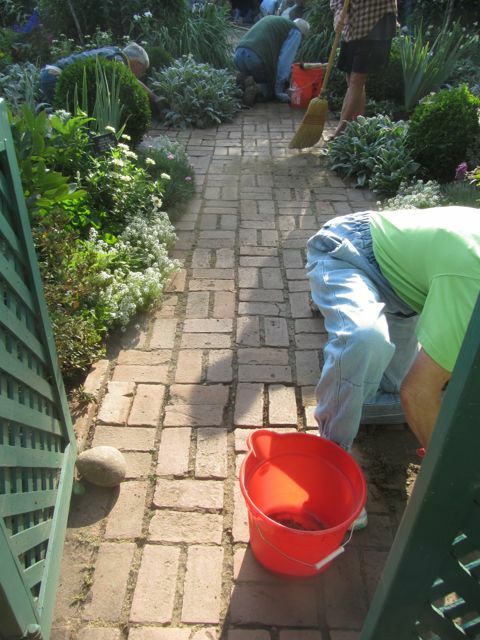 Thanks to these wonderful volunteers, the brick walks in the Flower Garden are almost ready for a make-over. On Friday, our garden volunteers joined the efforts. Undeterred by rain, they cleaned up rubble, knocked out edging bricks, discovered more bricks hidden under an old path, and smoothed paths for walking. 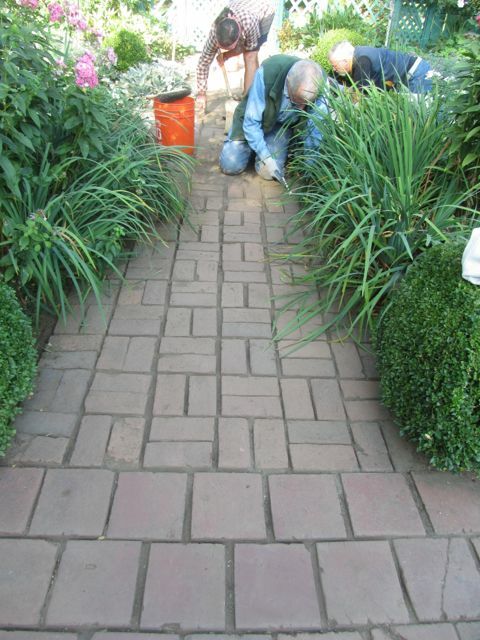 Pruning the boxwood away from the bricks elicited excitement from some, groans from others, and lots of jokes. There are still a few preparations to be done before our contractors come in–removing the short path going to the shed, taking out the edges of the paths–but we should be ready by early next week. 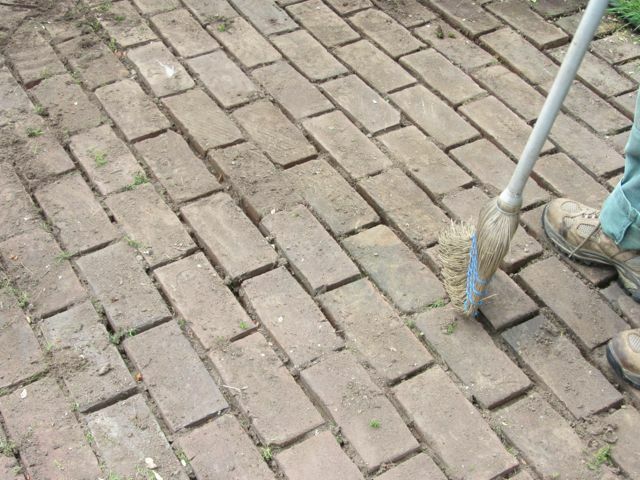 The historic bricks are being saved so that masons can reuse them in the paths and retain the feeling of charm so integral to the gardens. 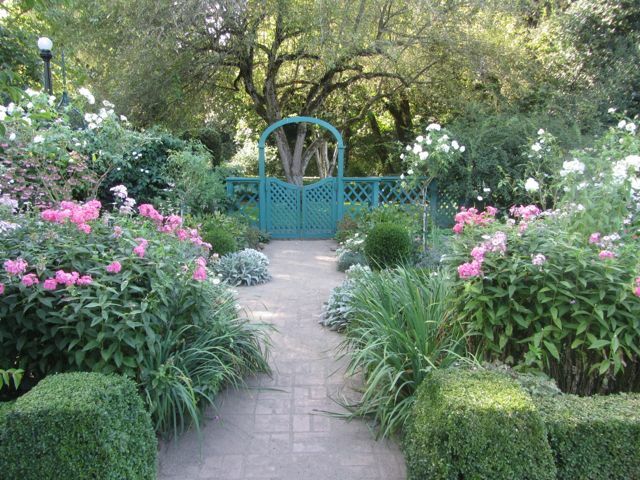 When this construction is complete, the Flower Garden should look as Edith and Elizabeth intended it. Smooth paths. Clean edges in straight lines. No more pooling water. The pedestal and putto as the central focal point. Grass in the north path. 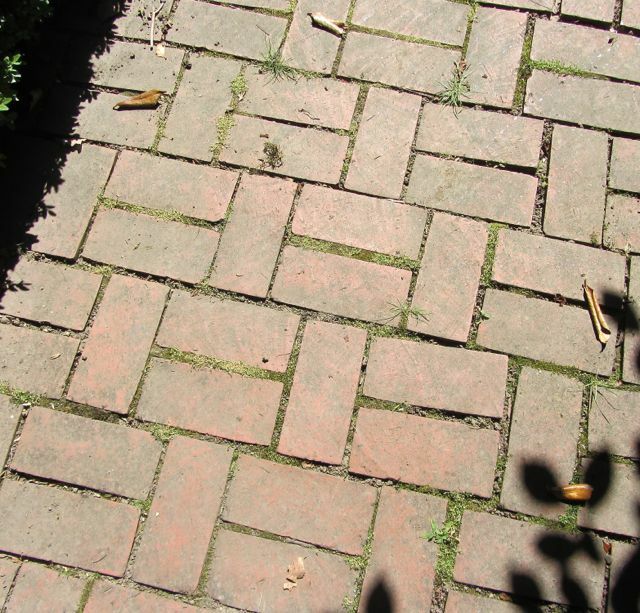 Grass and a brick path to the Pergola. The geometry and bones that Edith and Elizabeth so purposefully laid out will be restored. 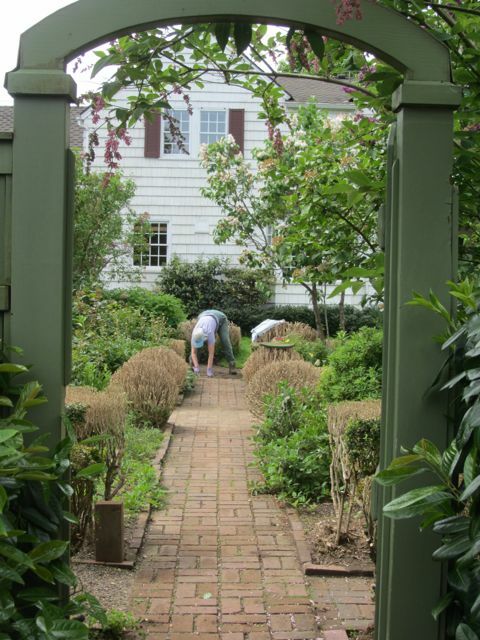 Words of caution: If you are visiting the garden as a volunteer or for a meeting during October, please approach Gaiety Hollow from Mission Street to avoid walking through the construction zone in the back gardens and to avoid interrupting our contractors when they are onsite. We want all of our visitors to be safe while at Gaiety Hollow. Thank you! August is a month of activity at Gaiety Hollow. A month of welcoming visitors and a month of preparations and anticipation for major projects. On the 5th, we welcomed our neighbors in Gaiety Hill to an evening in the garden. A highlight of the event was Chinese lanterns collected by by volunteer Valerie McIntosh hung throughout the garden. We hope to do more evening events in the future. August 11th was the first Englewood Forest Festival. Englewood Park has strong ties to Lord & Schryver. Elizabeth Lord served on the first parks commission in 1936. She was instrumental in the design of the park and advocated for the preservation of the Oregon white oak stand which remains today. Ruth Roberts, a long-time volunteer with the Lord & Schryver Conservancy and perhaps our resident L&S historian, was interviewed on Willamette Wakeup on KMUZ. You can listen to the interview by following this link. Click on the “play” button for August 10th 8am show. Unfortunately, you have to listen to news before the interview comes up, but Ruth is well worth the wait! Many thanks to Ruth for giving such an articulate and insightful interview. This past weekend was an Open Garden and this coming Saturday, to capitalize on eclipse viewers, we are open to the public again from 10:30-1:30pm. We are also deep into the planning stages of major projects that will begin to take place next month. 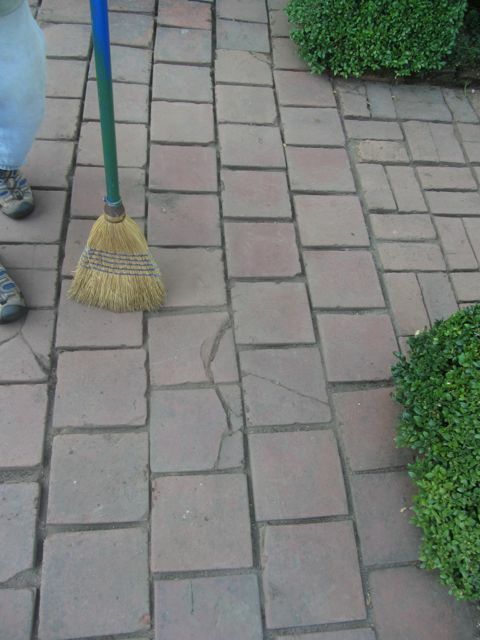 In late September, after the gardens have closed to the public for the season, work will begin on the repair of the brick walks through the parterre Flower Garden. The bricks will be taken up, sorted and cleaned, the path edges re-aligned and the grade raised, and then the bricks will be re-installed. 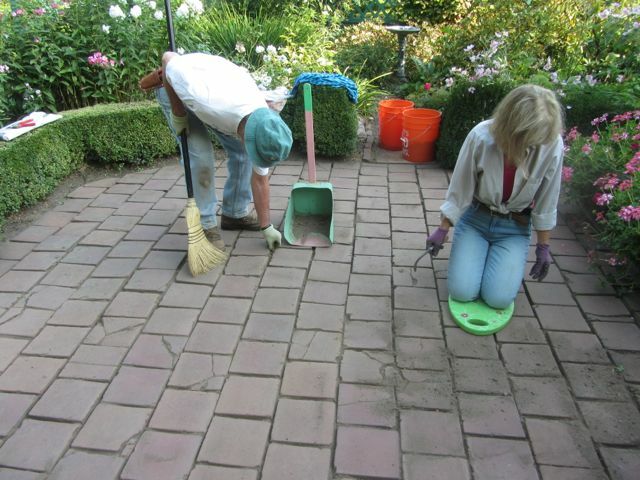 Today, Joy Sears from the State Historic Preservation Office stopped by to help us choose replacement bricks. 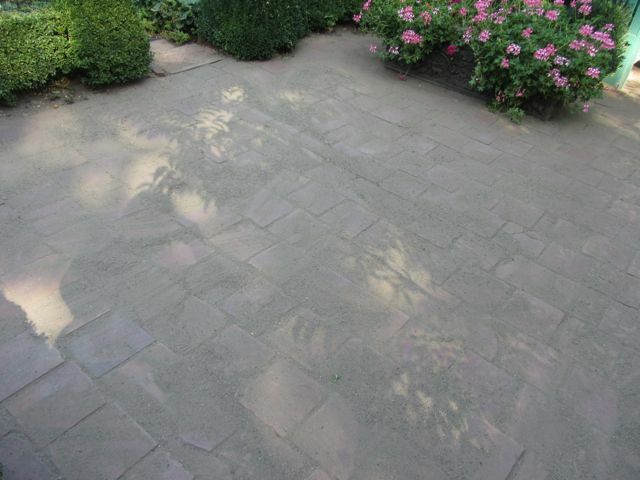 This is a very exciting project and will vastly enhance the look and feel of the Flower Garden. Also later this season, we are improving the drainage in the West Allee. You might remember seeing the West Allee blocked off to visitors last winter and into this spring. If you stepped into the Allee, you were met by standing water and mud. We hope that putting in a drain and wells will solve this problem and improve the visitor experience. If you haven’t been to Gaiety Hollow yet this season, don’t delay! We are open August 19, September 10 and 23rd. Check the website for more information.